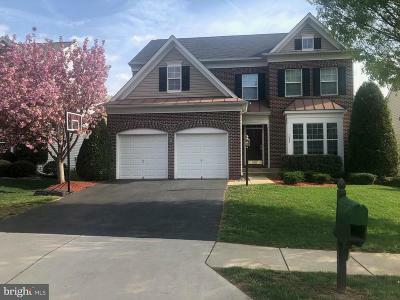 Bristow real estate - homes for sale in Bristow, Virginia in Western Prince William County including single family homes, townhouses, land and rentals. Bristow, VA is a popular unincorporated city in Prince William County about 50 minutes west of Washington, DC. With a population near 30,000 Bristow has experienced tremendous growth in the last decade. There are many new homes, schools, entertainment and infrastructure that has been added to the area. The majority of the properties are single family with many being large, upscale homes. Click here to view all Rentals in Bristow, Virginia. Bristow was once a privately owned 1700 acre plantation owned by John Augustine Elliot Linton. The Linton family were a prominent family in the area stretching from Dumfries to Bristow that goes back to the 1760's. His only daughter became a nun and donated ownership of her land to the Catholic church to build 2 schools for poor boys and girls. Today the Linton Hall School is a co-ed school that is owned and operated by benedictine sisters of Virginia and teaches pre-k to 8th grade with emphasis on Benedictine values. Land has been sold to land developers over the years and Bristow continues to be attractive to many new families every year. The Bristoe Station, a railroad junction near route 28 and Linton Hall road is also the battle ground for many prominent battles in 1863 during the the Civil War between Gen. Stonewall' Jackson's, Gen. Robert E. Lee's Confederate army and Maj. Gen. George Meade's known as the the Battle of Bristoe and the Bristoe camaign. Bristow is also home to Youth of Tomorrow campus where many children with the services they provide. They also hold a Bristow annual Country Fair & Auction which attracts thousands to this popular event every year. Another major attraction is Jiffy Lube Live outdoor concert venue brings people from all over the Northern VA, DC & MD. Read more in this article about the history of Bristow or learn more about Bristoe Station Battles and follow this link for audio and old photographs from the 1800's.